With roots dating back to the late 1800's in Cambridge, MA with John S. Cheever as the founder. At the time they where a wholesaler of specialty paper goods selling to the local merchants and the government for over 60 years. In 1968 the business was sold to Paul E. Cullinane. The son of the new owner, in 1971 decided to try moving into the retail market. He began by opening a discount store in a vacant room within the warehouse in Hingham MA. Here he sold a limited assortment of bulk paper items such as pizza boxes and paper bags. In 1975 this business started to take off which led Cullinane to open two retail outlets south of Boston. This was the start of the Paperama chain of stores in the New England area. After several expansion and several new stores, Paperama fell on hard times due to the box store approach to retailing starting to take hold. Paperama filed for bankruptcy in the late 80's. As for the original wholesale business started by John S. Cheever, it was still active selling to consistent customers. At this time a new group of owners took control and started Cheever Specialty Products. This was the start of the supply and distribution of Specialty Paper, Film and Tape throughout New England and their key offering of holding inventory for their customers. In 2014 Cheever Specialty Products changed hands to its present owner. The name was changed to Cheever Specialty Paper & Film to better reflect its brand and offerings. Our main office resides in Wakefield MA. By partnering with our manufactures over the last 25 years, we have gained access to a vast amount of Specialty Paper, Film and Tape. Our distribution model is like no other in the industry! We will hold your inventory for 30, 60, 90 or even 120 days, thus eliminating your Inventory cost, and allowing you to buy in small quantities. This way you don't have to make that big minimum quantity order, we do!! (Click Here for details on the Inventory Program). 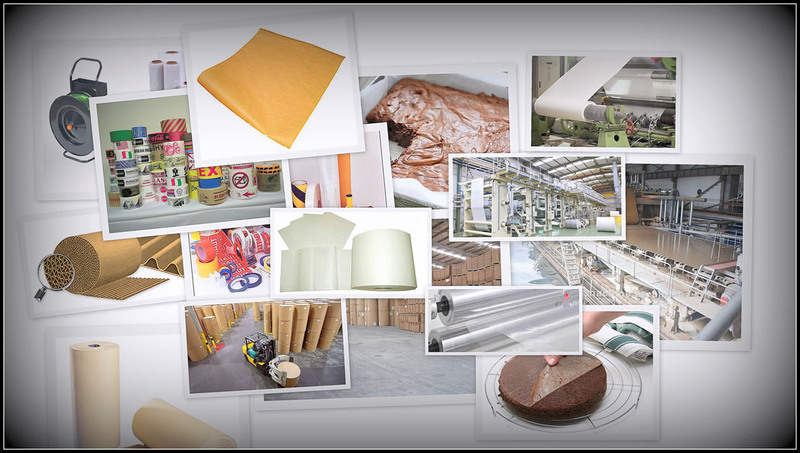 We can provide Kraft paper coated or un-coated, as well as a paper or film based release liner for every industry and use. Film in standard and not standard sizes from PET too polypropylene. Pressure sensitive tapes and pressure sensitive release liners. If your project requires a paper, film or tape substrate, coated with a release level for hold out or slip - we probably have an offering for you. Click here to see our offerings. By working with each customer 1 on 1, we find a solution to your problem first, then we work together to find the product, service and delivery method. With customers ranging from Medical Wound Care to Roofing Material, we have a diverse team of sales and engineers that can truly understand your industry. We have over a 100 years in combined experience waiting to tackle your project. We at Cheever strive to satisfy our customers by exceeding to meet their needs and expectations.